Can I alter the Toolkit & Handout? Any other questions? Contact us with any questions about use & distribution -- we'd love to know if you are using our materials! 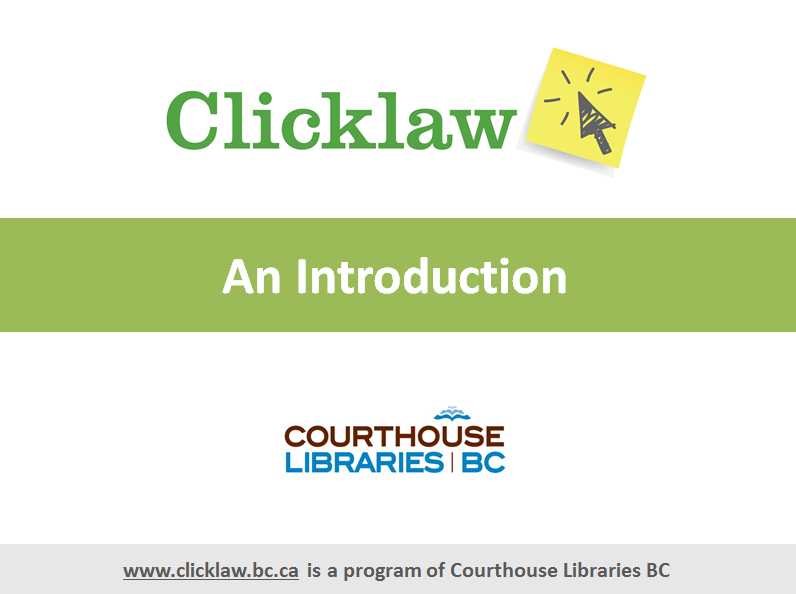 Clicklaw features legal information and education resources aimed at the public contributed to the site directly by over 25 contributor organizations.